Nikaila and Tony are getting married at Hurst Ranch later this year, so we figured that would be a perfect place to have their engagement session. 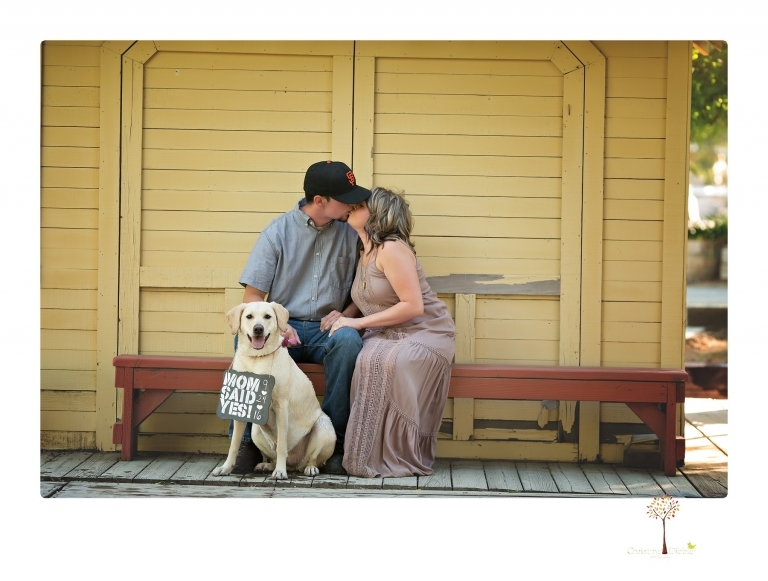 They brought along their sweet yellow lab, Honey, to include in the photos. The first thing Honey did was race straight to the pond and jump right in! She did not come out blue from the algae treatment, but she did come out wet, and that caused some issues with the cute chalkboard sign she was to wear and keeping Nikaila and Tony’s clothes clean. So Honey only made it into a couple of photos, but she had a great time running around. There is a gorgeous new barn at Hurst Ranch just for indoor receptions, and I cannot wait to see it all decked out on their big day! Markie - Love the one with the dog! “Mom said yes!” So adorable! Go Giants!! Whoop whoop! 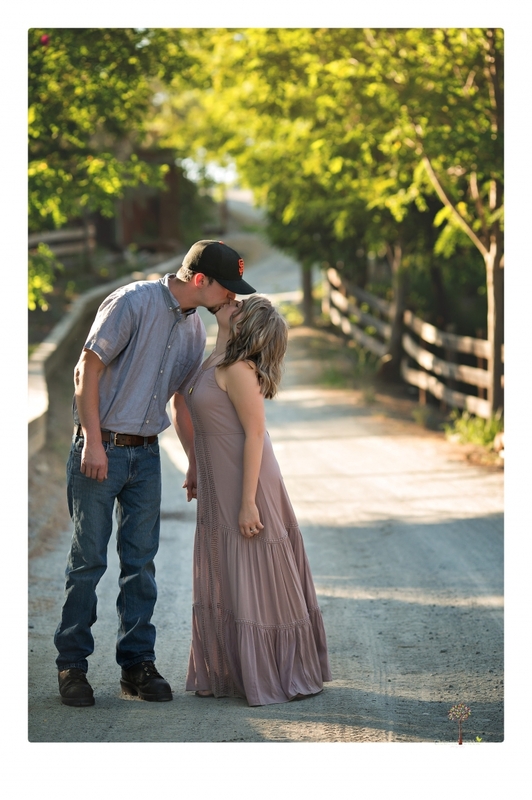 Casey - Christine Dibble Photography what an amazing rustic engagement session at Hurst Ranch! Nina - These are such sweet engagement photos! And I love that they added their pup to the photos, so sweet! Corey Farrar - Gorgeous engagement session! 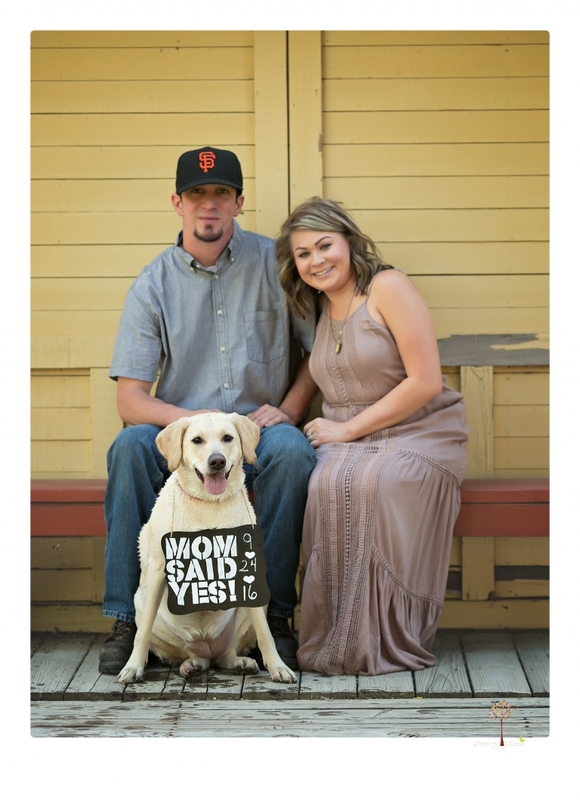 Love the light, their clothing, and that they included their furbaby – so fun! Hurst Ranch looks like an amazing venue and I can’t wait to see their wedding photos! Jahni - That sun light coming through the trees! Gorgeous! These are so fun, I love that they incorporated their pup!